The essence of having a YouTube channel is to have subscribers. What is the point of a channel that is no one subscribes to? That said, it is very important for your videos to be entertaining to your audience or they will jump ship and go to another channel. It is not enough to just have videos and subscribers. What is most important is the constant ability to provide them value for their time. This article highlights the simple (or not) ways in which one can get more YouTube subscribers for their channel. This will make it easier for viewers to go through your videos and watch more. This brings about higher Search Engine Optimization (SEO) ranking, more customers and more subscribers. Artwork – You should have a banner that clearly states what your audience will gain or experience from the channel. There are many channel designers in the market. Links – All your social media links should be added to your channel. Not forgetting the website. About – In this section, you get to share with your audience the motivation behind you starting the channel and what they stand to gain by subscribing to your channel. This is where they get to learn about your schedule too. Create playlists – Create organization on your channel. That makes it easier to find the videos one wants and makes it more appealing to look. You have to be committed to your cause. Without commitment, you will not move forward. Being consistent is part of the commitment. Uploading of videos needs to be consistent, at a specific time and specific day every week. Make sure that all these are well communicated in every sector of your interaction. Your passion should be the driving force behind your commitment. If you are not enthusiastic and passionate about whatever it is you do, no one else will be. Enthusiasm is contagious. The focus should not be on what you sell but rather why you sell and then once you have pinned your passion, you can now concentrate on giving your audience exactly what they require from you. Plan – While it is not necessary to have an entire script, it is important to have a list of about three core points that you want to pass across. Start with the question that your audience wants to be addressed and then break off the answer into several interesting, understandable chunks. Remember to add on something that will keep your audience still hungry for more information. Produce – Contrary to popular belief; one does not need state of the art machinery to cut good videos on YouTube. The most important thing one needs after a camera is a good sound, so an external microphone is crucial. Make your videos short, the shorter, the better. With the numerous videos uploaded on YouTube, it is important to make yours stand out. Include a catchy title with the keywords that you want to rank. Keep it short and appealing. Including tags and ensuring that it captures the keyword is essential. Describe the video well. There can never be enough words for this. Reply to comments within 24 hours of uploading the video. Ideally having done all this, it might still take you about 3-6 months to get your 1000 subscribers and this is while supplementing with paid traffic. Other people may not want to wait that long and may opt to buy subscribers. 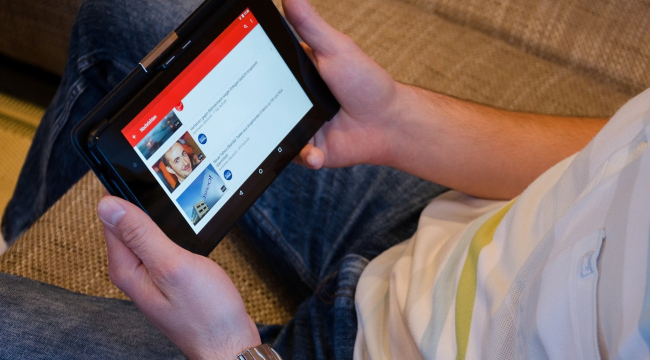 Buying YouTube subscribers involves paying people for each time they view your videos. It creates startup traffic, saves time but at the same time; it costs money. In conclusion, having many subscribers on your YouTube channel means that you inadvertently get to earn more but one has to be willing to put in the work. Most people just see the success without considering the amount of time and commitment that goes into having a successful YouTube channel.